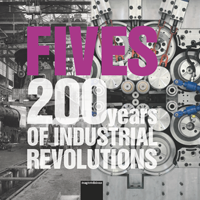 Fives’ 1.25 to 4.5 m Giddings & Lewis vertical turning centers have the power, capacity and options that make them the industry standard for vertical turning. The latest innovation is a Y-axis attachment capable of machining off-centerline part features. 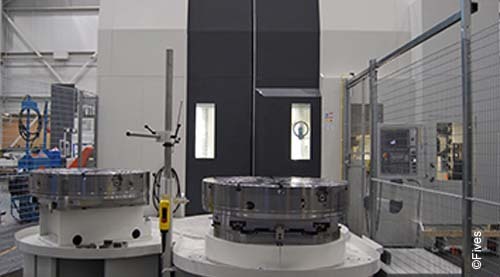 Full X-axis travel, left and right of center, allows cutting from both sides of center and probing part diameters optimizing turning operations. The versatility of the Giddings & Lewis VTC Series is unmatched. 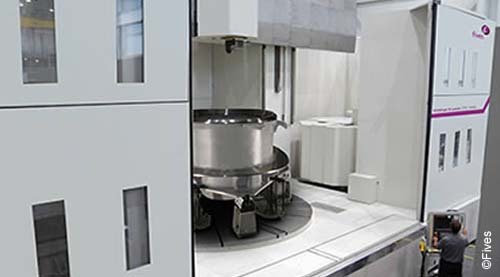 Plunge milling, helical interpolation, high feed milling, grinding, hard turning and off-center side machining are just a few of the advanced processes. Our application experts can help you determine the operations best suited for your parts. See some of the action for yourself in our videos. 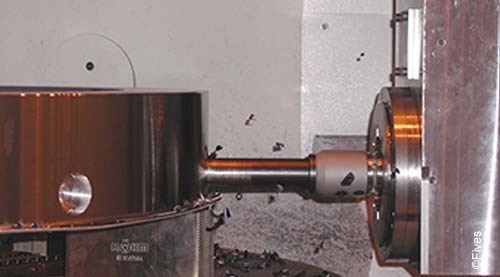 Drill, mill and tap the sides of a part with a right angle head live spindle or Y-axis attachment. 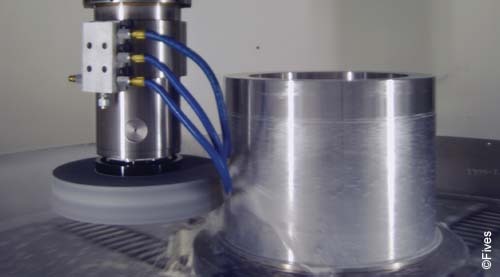 Four axis machining, with two heads, allows simultaneous cutting. Perform OD and ID cuts at the same time. Rough with one head and finish with the other. Cut from both sides of center and probe diameters with full X-axis travel, left and right of center. Available on 1.25 to 3.5 m VTCs, the side head option is ideal for pinch turning or machining of tall or flanged parts. For higher volume jobs, the automation of a pallet shuttle optimizes production time. Operators may setup parts while the machine is cutting. 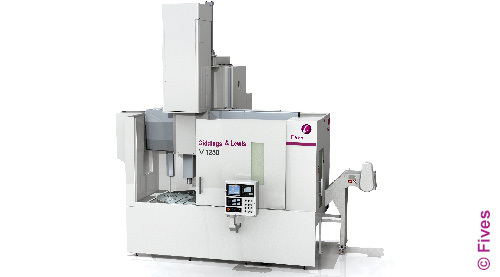 Manufacturers worldwide are benefiting from the capacity and versatility of Giddings & Lewis vertical turning centers. Click on the application reports below to read how customers in the following industries are using Giddings & Lewis VTCs to increase their productivity. 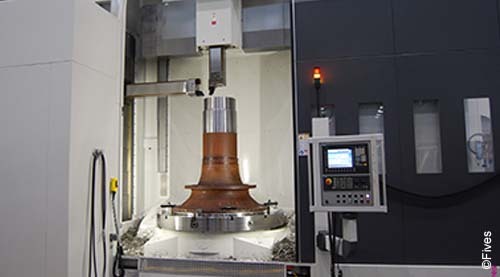 Machining operations that are off centerline such as face milling or bolt hole drilling on flanges often require machining on a horizontal machining center or boring mill. 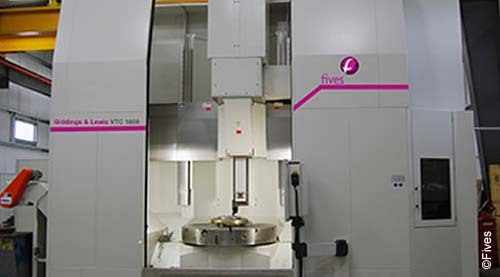 The Giddings & Lewis Y-axis attachment allows machining of these off-centerline features on the vertical turning center. Setups are reduced or eliminated with the added Y-axis functionality decreasing production time and cost. Watch the video to see the Y-axis in action. The attachment is available on all new VTC Series lathes and as a retrofit on select models.